It’s no secret that losing weight is not an easy task. That’s why millions of people struggle with it every day. We want to make it a little easier. That’s why we created Prevail Trim. 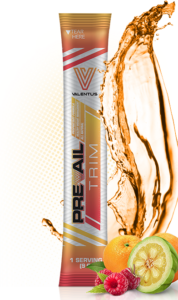 Formulated with natural appetite suppressants and ingredients to help detoxify your body, Prevail Trim is a great addition to any weight management program. And as if helping to manage your weight in a healthy way were not exciting enough, just wait until you taste this delicious drink! You will LOVE it! Simply open packet and mix contents with 12-16oz. of water. For maximum weight management results, drink one Trim 3 times per day. One of the 200 molecules in raspberries that give it its flavor and smell profile. (Coincidentally it’s also used to flavor candies, protein bars and shakes and many, many other man made foods). 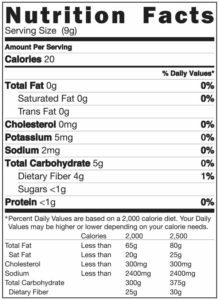 A proven fat dissolver and mentioned in many dietary regiments and even the more popular diets out there always include raspberries at some point in the regiment. And in the area of health benefits well it’s not lacking there in the least, as Raspberry ketones have been proven to reduce fatty buildups in and around the liver which we all know to be one of the main contributors to early liver disease, as well as promoting healthy liver function by causing the remaining fat cells to actually produce Adiponectin which is a protein sorely lacking in most who suffer from obesity and even Type 2 Diabetes. This delicious and beautiful little berry is primarily used by the natives of the Patagonia region of Chile and as an ingredient to treat things from headaches, fogginess, Sore throat, tumors and other illnesses. The natives of Patagonia were all but too eager to share the secrets of this native berry and the healing effect it had on the mind. A powerful contributor (one of THE most powerful contributors) of ORAC (Oxygen Radical Absorbance Capacity) which absorbs free radicals in the body helping you to live a more natural and healthy life without the effects of life which we subsequently write off as “The Norm” these effects are caused by the free radicals in most fast foods and processed foods. But this little berry combats free radicals throughout the body. Also high in Anthocyanins which our ancestors ate in large quantities, anthocyanins are antioxidant flavonoids which Increase the body’s ability to produce insulin and fend off Diabetes. Also keeping the bodies PH levels up which added with every other awe inspiring benefit found in these berries aid you on your journey to weight loss. Aids in raising metabolism which allows your body to break down the fat in foods more quickly, a new supplement on the market which is a Chromium derivative and tested on a variety of subjects with type 2, diabetes was a main contributor in helping their sugar levels to balance out. Research shows that Zynchrome Chromium Reduces food cravings and helps you to feel more satisfied with less food so is a natural wonder in the Supplement family. Follow us for health tips, product information and inspiring stories!